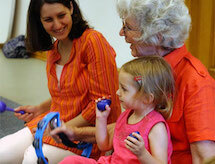 All Children Are Musical ! Give the gift that lasts forever, fits everyone and makes the whole family happy - the gift of music! Gift Certificates are valid only for classes offered by Music Together of Bay Ridge with six locations throughout Brooklyn. Choose a gift certificate option and add it to the cart. 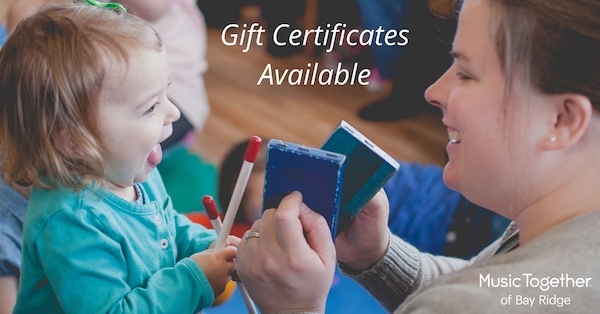 Then, you will be prompted for the information we need to create the gift certificate. Complete your payment and we will mail the gift certificate to the address provided by the purchaser. Copyright 2019 Music Together of Bay Ridge. All rights reserved.